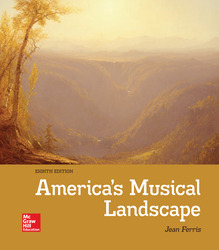 America's Musical Landscape provides readers with an extensive understanding of the progression of American music over time together with an appreciation of the music's diverse cultural roots. Chapters are enhanced by over 70 listening examples, connections to other arts, and Thinking Critically boxes throughout. Ultimately, the music fundamentals covered will enable students to listen to new music receptively and creatively.